There are many types of church financing available for any size church, from a small country church with 200 members to a Mega-church with tens of thousands of members. Traditional financing can usually be obtained for up to 80% loan-to-value (LTV). In some cases, a second loan can be acquired to bring the LTV up to 90%. Traditional church loans are called 5/25 and 5/20 loans. In the case of a 5/25 loan, the loan is amortized over on a 30-year schedule. The “5” means the interest rate will be fixed at a given rate for the first 5 years. If the loan is repaid as agreed and certain conditions are met, the interest rate will change at the end of the 5 years and remained fixed for the next 25 years. If the agreed upon conditions are not met, the balance of the loan is due in the form of a balloon payment at the end of the first 5 years. The 5/20 will work the same way as a 5/25 except this loan is amortized over a 25-year schedule (5+20). If you are required to pay off the loan after the first 5 years for either a 5/20 or 5/25 loan, you can either refinance or sell the property. Refinancing is undoubtedly the preferred option since selling the church property would not be desirable. Construction loans for churches can usually be obtained at 90 or even 100% LTV. Your church will make interest only payments during construction. You can have the construction loan converted to permanent financing after construction is completed. Apply for church loan here. 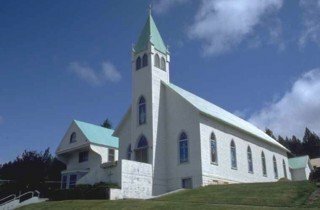 Church financing can usually be obtained for your church whether you required $75,000 or $70,000,000. The first step to obtain financing for your church is get to the church leadership to agree on the necessity and amount of the loan. The planning must be in line with the church budget and church income. Your building plans must fit the budget, not the other way around! Your church can typically qualify for a loan amount that is no more than 6 times your church’s annual income. For example, if your church has an annual income of $400,000, it could be able to get a maximum loan of $2,400,000 providing there is no other outstanding debt. The length of time your church has been operational is another critical factor in the qualification process. Your church should have been operational for a minimum of 2 years. Most lenders, especially traditional banks, will not give you a loan on which monthly payments will exceed more than 60 – 65% of the church’s monthly income. Your church must be able to produce at least 2 years of financial statements. Most current lenders will not require personal guarantees since the loan qualifications are based on the church’s assets and income. However, if your church has one or more leaders or members with strong financial statements and they are willing to personally guarantee the loan, your application will be in an even stronger position for approval. You should be as cautious when obtaining church financing, as you would be with any other financial transaction. For example, you should never pay an upfront fee to anyone who guarantees a loan approval. Also seek the appropriate professional counsel so that you will enter the transaction knowing any and all income tax and legal liabilities that may be applicable to your financing situation. Apply for a loan to build or remodel your church...click here. Learn more about church loans - click here. Click here to leave church financing and return to commercial loans.